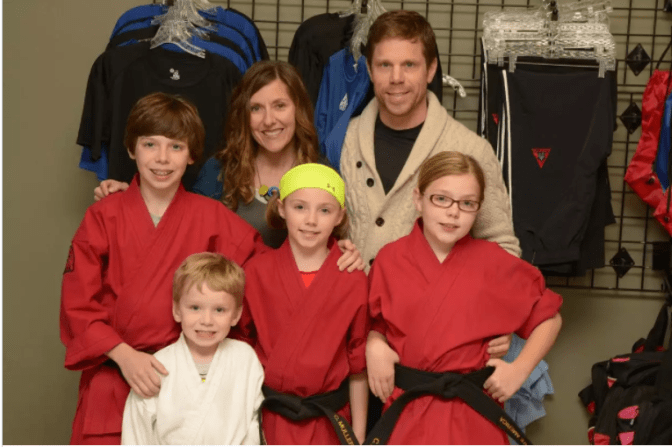 We have watched our boys and our family benefit so much from being part of the Karate America family! One of the greatest benefits has been the respect that is not only taught but modeled by every instructor. The instructors have taken the time to walk along side our boys and teach them to be honoring young men by learning to set goals, work hard to achieve them, and to never give up! The awesome part is how this positive attitude shows up in the rest of their life - at school, at home, and at church. We are so thankful for all the life skills they have learned at Karate America! 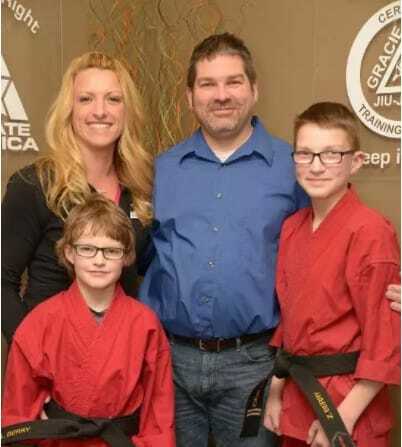 Our family has been part of Karate America for 10 years. Our children have definitely learned excellent karate and jiu jitsu skills that are very tangible and easily seen by others. However, they have learned much more than great martial arts skills. 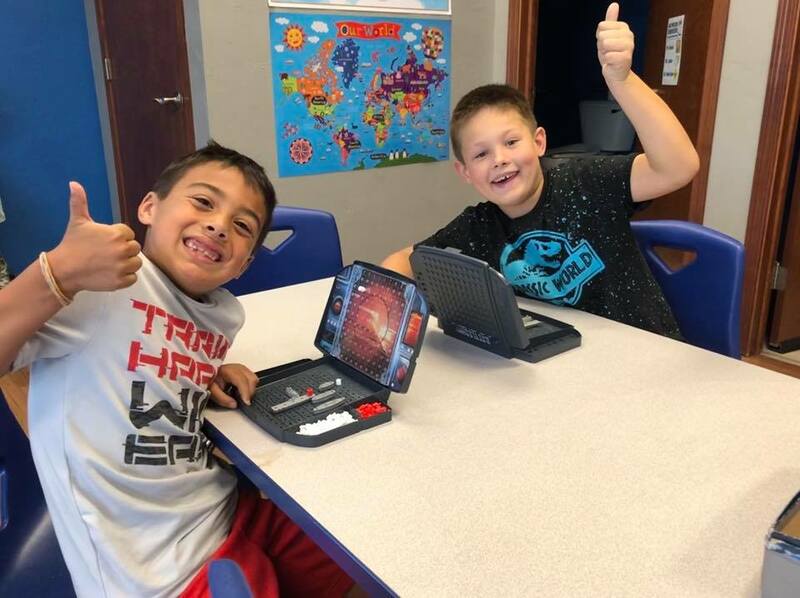 Karate America has enriched their character development and has provided an environment for our children to develop life skills including leadership, confidence, goal-setting, discipline, respect, integrity and more. 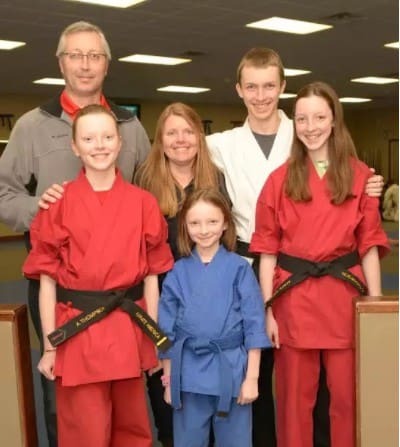 Instructors at Karate America are not just martial arts instructors but they are role models for students in every way and they desire to help each student reach their individual best both in martial arts and in life. We are very blessed to be a part of the Karate America family. We joined Karate America about 4 years ago and have found it to be a welcome support network to our family. We originally went into it thinking we would learn all the karate basics and advanced moves in time, but found quite a bonus in the training offered there. When the instructors started to talk about Self Discipline, Focus, Respect and continuously had them take responsibility for their own behaviors and choices, it supplemented our own parenting and family expectations so well that we knew this would be a long term relationships. What we love about this particular karate school is its high expectation both of the students as well as the instructors. The kids aren't a number, they are a person with a name. The instructors make sure to use everyones name to make them feel as important as God made them. They also have a very low turnover of instructors. The same instructors are there now as when we started and that type of continuity and security is welcome in a society where everything changes on a dime. We love our Karate America family! !